Barack Obama’s father was born in Africa. His mother grew up in Kansas. As a child Barack went to school in Hawaii, Indonesia, and Kansas. His law degree is from Harvard. 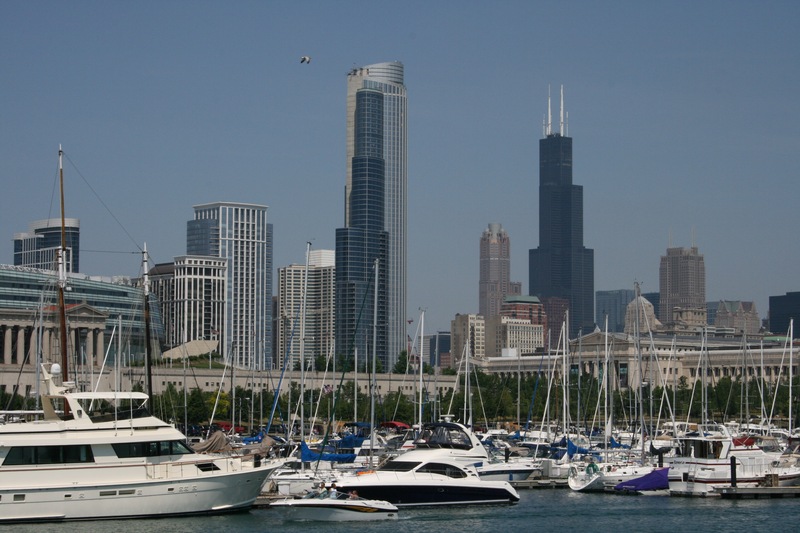 But it was the city of Chicago, located on the shores of Lake Michigan in northern Illinois, that gave the 2008 Democratic Party nominee his political voice. It was here, in the city of “broad shoulders”, that Barack Obama emerged as a young man who believed he could become the president of the United States. He found his voice which combines community organizing street savvy with big city board room sophistication; a voice that blends religious fervor with classroom erudition. Reaching the White House is a goal now close at hand. But before he faces John McCain in November, Oboma must face one final gunfight with the Clinton gang in a confrontation that could echo the deadly cinematic “gunfight at the OK Corral”. Democratic Party leaders are desperate to avoid a shootout at the Denver Democratic Convention, August 25-28. Party chair Howard Dean, Speaker Nancy Pelosi and Senate leader Harry Reid have Democrats running in state, local and federal race and they want a strong candidate for president to emerge from Denver. What worries them is that the Clinton gang seems to have other ideas. Would you believe Hillary wants her name put in nomination with an attendant celebration so her supporters can shout to the nation that their party is about to choose a candidate who lacks the experience to be president? You don’t believe such a thing? Then, would you believe the Clintons want to dominate the convention with speeches by both of them to remind the party of a Clinton era of prosperity? It is true that Bill and Hillary were in the White House before two Bush terms plunged the world into war and high prices at the pump. For them, the shootout at Denver would celebrate those eight years, and maybe, just maybe, weaken Obama enough to set Hillary up to return to the White House for a third Clinton term. You refuse to believe any of this? You prefer to believe that the Clintons only want to get the respect Hillary’s historic campaign deserves? You prefer to believe that the Clinton gang only wants what is best for them AND for their party? You don’t? Is it not inherent that in a democracy voters decide who wins and who loses? Hillary Clintopn failed to win enough Democratic delegates to gain the nomination. Instead of moving on from that setback, the New York senator tells her supporters that the Obama campaign needs to make them feel better about their loss. If this does not sound like the Hillary you have supported since she entered the 2008 primary season as the almost certain nominee, then look at these You Tube clips now available on the internet, here and here, clips obviously taken by an amateur, a supporter who wanted to cherish one final up close and personal moment with the woman she greatly admires. In private conversations, associates say, Clinton remains skeptical that Obama can win in the fall. That’s a sentiment some other Democrats believe is not just a prediction but a wish, because it would prove her right about his weaknesses as a general-election candidate and possibly pave the way for her to run again in 2012. So don’t be surprised by a shootout at the Denver corral. When the delegates gather for battle, watch to see if Harold Ickes, Jr., is mingling with the Clinton delegates, loading the rhetorical and strategic guns over there in a corner of the corral. It was this same Ickes who urged Clinton to follow his script through the primaries, demanding that party rules be tossed out so that delegates from “her” states, Florida and Michigan could be seated. It was this same Ickes who would not let Senator Clinton leave the race at an earlier moment in the process, to leave time for Obama to focus solely on McCain. It was also very likely this same Ickes who was behind Clinton’s frequent references to the “sacred” freedom of delegates who had the “right” to forget that they were elected as Obama delegates and vote for Clinton instead. Ickes has previously shown his contempt for convention rules that don’t favor his candidate (Ted Kennedy at the time) when he tried, and failed, to block President Jimmy Carter’s nomination at the 1980 convention. You don’t believe any of this? All you care about is Hillary Clinton getting her moment in the convention spotlight as a reward for almost breaking the political glass ceiling? And you want us to forget Bill Clinton’s reluctance to throw the weight of his own public esteem behind the last man standing who can prevent a third Bush term and a permanent conservative Supreme Court? You liberals who are still angry that your candidate lost, know very well that I am talking to you. Barack Obama knows how you feel. And he deserves your respect for the manner in which he is trying to ease your pain. There is a quick and productive way to deal with that pain. When I complained to a leading Chicago politician that Obama had not supported my candidate in a 2006 Democratic congressional primary race, he looked at me and said quietly, “Jim, get over it.” Good advice for me, and good advice for the Clinton gang when they head out to Denver. Thank you for this commentary. Now it is clear that Hillary will get her night in the sun. If they do it in prime time, I will be outraged. I don’t understand what these Hillary supporters mean when they say she was cheated out of the nomination. Certainly, Obama didn’t do anything to cheat her. Hillary simply was to confident about winning the nomination and did not plan past super Tuesday. Remember when she said the Texas two-step was making grown men cry. They did not expect to have to deal with that. It became clear during the primary season that the Clintons will do anything to win. I am going to be waiting and holding my breath until I am sure she is not going to hijack the convention and take the nomination.